Featuring inventive solo work, driving rhythms and three part vocal harmonies, New Cumberland’s musical integrity and joy in playing together resonates in every performance. The resumes for the various individuals in New Cumberland include bluegrass stints with the Dixie Flyers, Rural Retreat and Cumberland Wail – as well as wide ranging experiences outside bluegrass in rock and folk music. Proficient in the straight ahead driving bluegrass of Bill Monroe and Jimmy Martin, New Cumberland also stretches the genre in directions taken by The Seldom Scene, John Hartford and Jerry Garcia’s Old and in the Way. Songs from non- bluegrass artists such as the Grateful Dead, Neil Young, The Beatles, The Stones and Willie P. Bennett are also liable to appear on a New Cumberland set list. 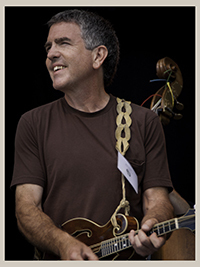 Tom is an accomplished singer-songwriter who has fronted bluegrass folk and rock bands which have appeared at such events as London’s Home County Folk Festival, and the Canterbury Folk Festival, as well as numerous clubs throughout southwestern Ontario. 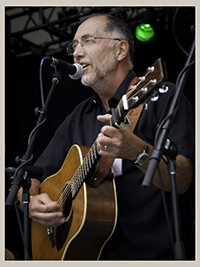 As a songwriter, Tom has performed his original compositions on CBC national radio. Blair is an accomplished multi-instrumentalist. His driving and inventive instrumental stylings, fine tenor singing and energetic stage presence make him an audience favourite. Adept in many music genres, Blair has over thirty years experience as a performer in bluegrass, folk, jazz and rock groups. 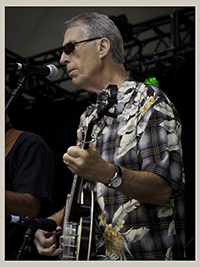 Paul has a strong presence in the Canadian bluegrass community for many years. 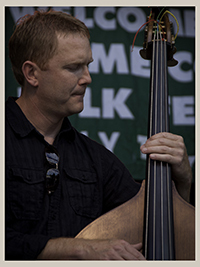 He first started with Bert Baumbach in a group called the bluegrass alliance and later on was the recipient of the Canadian Pioneer award for his work with the early bluegrass group The Country Rebels. Tom is the junior member of the group. Tom has made a smooth transition to acoustic bass over the past few years. Always rhythmically solid, Tom’s experience as a rock and blues player enables him to provide subtle dynamic musical support to New Cumberland’s sound. 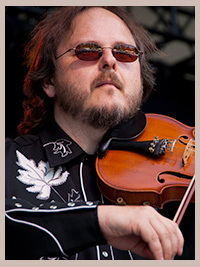 Darrin Schott frequently plays fiddle and mandolin with New Cumberland. He grew up in a musical family and started playing the mandolin at the age of eleven. Since then he’s been playing non-stop with wide-ranging artists such as The Good Brothers, Stompin’ Tom Connors, George Fox, Susan Aglukark, Amy Sky, and The Schotts, an acoustic duo with his wife Alison. New Cumberland’s album, Fishing for Compliments, is now available for purchase at all of our Shows & Festivals we take part in. Please check our Events section for upcoming venues. Hear some music from Fishing for Compliments on the player right below or visit the New Cumberland Soundcloud Page. Thanks for dropping by our new website and for supporting New Cumberland. Time: 8:00pm. Age restrictions: All Ages. Address: 15 Colbourne Street. Venue phone: 905-543-8512. To contact New Cumberland please include your name, phone number, and the name of the venue, event or festival you represent. We also appreciate hearing your comments about our music and the Canadian bluegrass and folk scene.